The time existed when buying a television was a difficult decision. Televisions were expensive. Most families had one. You knew someone with money to blow if you knew someone who had a small set in the kitchen, or a bedroom. Technology improved over time and prices went down. One television set is attainable for middle-income families. So are two. Shoot, toss in another for the basement family room if you are a little better off than others. And while you are at it, make sure you are accessing entertainment on your computer, laptop and iPad, not to mention the game console. Life seemed simpler when you knew you needed only one television set, even though it cost a lot. Decisions were easy when they amounted to simply yay or nay on that one set, even while deciding what to give up in exchange was hard. Likewise, at the Iowa Statehouse this year. A few years ago Iowa was in a budget squeeze. It slashed spending across the board 10 percent and laid off public employees in the fiscal year that ran from July 1, 2009, through June 30, 2010. Iowa used more than $700 million from one-time sources such as federal stimulus money and reserve accounts to balance the state’s fiscal 2011 budget. Republicans were confounded back then by Democrats who wanted to pump a lot of public money into state services at a time when state revenues were below expectations. Democrats were confounded by Republicans who wanted to hold back on spending money that was in savings for this kind of financial crunch. Legislative decisions seemed tough then. A lot of commiserating existed about how tough they were. But in a sense, the decisions were simplified by the notion that all state agencies had to bite the bullet, cut spending and make do with what remained. In many ways, it seemed there was no choice at all. It simply had to be done. The atmosphere of tight funding has dissipated for the legislative session that is under way now. Iowa government ended fiscal 2012 with a $688.1 million surplus that state leaders have watched grow with hopes of the amount reaching $1 billion. State tax revenue projections are up and net state revenue in 2012 grew 7.9 percent from the previous year. On Jan. 25 that growth rate was down, but still 7 percent from the same date last year, Iowa Legislative Services Agency figures show. Iowa has spending money again, and a lot of people want it. “We’re clearly in a much, much better financial position than we were two years ago,” House Speaker Kraig Paulsen, R-Hiawatha, said in an IowaWatch interview leading up to the legislative session’s start. Thus, come the hard decisions of the 2013 Iowa General Assembly. Democrats want to pump public money into programs they feel have been neglected during the tight budget years. Republicans want to hold back on spending in favor of reforming taxes – or, in a proposal in late January, perhaps a $750 tax credit for Iowa. All this should make for a lively legislative session because the lawmakers voters have sent there have enough money to have an argument about how to spend it. 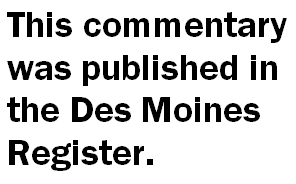 Predicting where this will all end is an iffy game, Senate Majority Leader Michael Gronstal, D-Council Bluffs, told IowaWatch in an interview before the legislative session began. Legislators have minds of their own, plus new members are learning the ropes. “A quarter of the institution is new,” Gronstal said. Gronstal said Democrats are interested in making sure Iowa has a steady workforce, a reference to restoring cuts made in 2011 to Iowa Workforce Development, but also to economic development programming Democrats believe will help small businesses. Education needs funding, too, and not just kindergarten through high school, he said. The Republicans’ to-do list is led by making sure a skilled workforce emerges from colleges and universities, and the economy, Paulsen said. That means reforming business regulations, income taxes and property taxes. Those, of course, are budget issues, as are the Democrats’ priorities. The general thinking in a non-election year like this one is that legislators are more apt to get done what needs to be done. The time to worry about getting re-elected, or harming the political opposition’s chances for public office, are to be shelved until the appropriate time. But here’s a fact worth noting. Two years ago, the last non-election year, the Legislature did not adjourn until June 30 in large part because Republicans and Democrats could not agree on property tax reform for businesses but also because of disagreements over Medicaid-funded abortions at University of Iowa Hospitals and Clinics. Anything can be a budget issue, whether in a year when money is tight or when the state is flush with cash. Despite talk about bipartisanship, the Iowa legislative session started with party leaders voicing different agendas, but Gov. Terry Branstad remaining confident in an IowaWatch interview that the session would stay focused. “There’s always a lot of distractions, and there’s a lot of issues that come up.